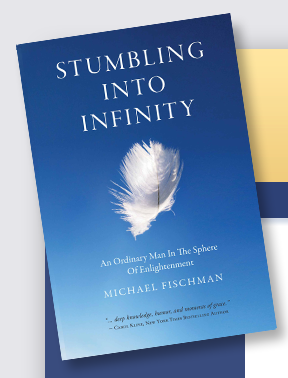 Stumbling Into Infinity: An Ordinary Man in the Sphere of Enlightenment is distributed by Ingram Publisher Services. 1. by faxing a purchase order to 615-213-6030. 2. by calling the toll-free hotline, at 800-648-3036 (dedicated for book orders only). The above information is for booksellers and retailers only. Readers, click here for purchasing options, including bulk orders. Morgan James Publishing was selected by Publisher’s Weekly as the third-fastest growing publisher in tough times for 2009, for its leading creative thinking, significant accomplishments, and potentially momentous impact on the industry over the next decade.